Carrots, broccoli, cauliflower, parsnip, Green Peas - steamed/cooked till soft before mashing. Avocados - mashed with a fork. Toast - cut into strips that baby can hold. soft boiled veg like carrots cut up in small pieces. Basically babies over 6 months can eat most things you eat, just cut down on or omit the pepper, salt and seasoning. although so me babies will eat peppersoup and spicy moi-moi with no issues, but its best to cut down on seasoning and spices in baby food. I try to base my lo's meals around what we eat. So if we are having potato and chicken for dinner i boil her own potato and blend it with small chicken and presto!! Her lunch for the next day and freeze the extra in single portion quantities so defrosting is easy and you only use what you need per meal. Below are a few tips I have helped me. Swallow: Pounded yam, amala, semo with draw soup - finely chopped okra seems to be a hit. i have also found out that i can freeze pounded yam and amala ( have not tried with semo or other swallows) this saves you trying to make baby size portions of swallow. To warm a frozen swallow, bring out from the freeezer and allow to defrost in the fridge either partially or fully. 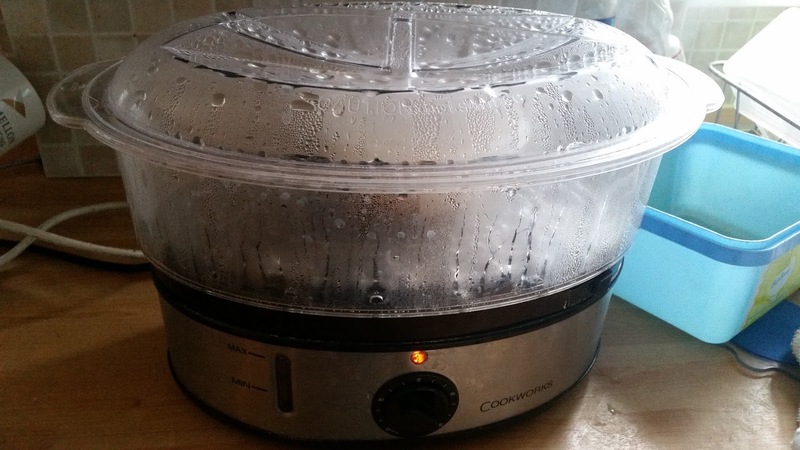 but in a covered bowl and steam for about 30 minutes minimum. mix with a spoon and leave to heat up fully to pipping hot and normal consistency is regained. Rice: you may want to avoid rice if your baby is very young or at least until your baby is used to eating . you can either use baby rice as it is already ground up for babies just being introduced to solids, or if making rom scratch, make sure it is a bit "soggy" so that it is easy to mash. Beans - i cook beans as normal and remove my baby's before i add the palm oil and pepper. young babies cannot digest the bean skins and it all comes out in their poo (very nasty business), so you should pass it through a wire mesh sieve with a spoon to separate the skin and leave a very fine puree. works very well with boiled plantain or sweet potato... yum! 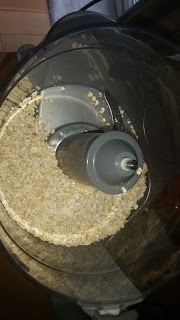 Oats- blend it raw into a near powder constitency to remove the lumpiness before cooking as usual. I then mixed it with mashed banana or other sweet puree. I my opinion - no milk is needed as it is very sweet with banana. Mixed sweet peppers: i very finely chop or blend red & orange bell peppers with a small onion - steam it to cook it( like cooking moi-moi in a plastic container and freeze portions in an ice cube tray. When frozen, pop them out into a bigger container to store and use individual cubes as required. this is quite a nice sauce base, add a couple of teaspons of blended tomato or a small knob of tomato puree to give you a stewy type base. Cereals: Any cereal with no added sugar or salt is ok for a baby to have, you can blend it to make a powder for younger babies and leave some lumps in for older children. cornflakes, rice crispies, weetabix, cheerios are just some that can be used especially once they clock 1 year! You can make your own sweetener for cereals, all you need are some dried ( soft) fruits like raisins, sultanas, apricots and even dates check the baking section of local supermaket). You can also add some prepared nuts if you are sure your baby has no allergies,chopped hazelnuts, sliced/ ground almonds and even dessicated coconuts (the ones with no added sugar - please read the labels) can be used as well. Ensure the fruits are clean (especially for dates which are not properly packaged or sold by your local mallam) wash them if necessary ,pat dry with a clean kitchen towel and allow to air dry for a couple of hours., pop them in a food processor or grinder attachement of your blender and blend ( do not add any water). you should be able to store this in an air tight container for at least a couple of weeks. you can use this on its own or you can then add this with fresh fruits like bananas, apple puree, mango or other fruit to cereal or natural yogurt to sweeten it. carrot, sweet corn and cabbage purree with small knob of butter. Pasta with mince meat sauce ( or stew with meat- blend afterwards just omit pepper and spices.- you can make her own stew/ sauce seperately and combine with "soggy rice or pasta. ) i also find mixing pasta and rice with maybe carrot/sweet corn/broccoli /other veggie puree help with not making it too tomato-ey. mixed peppers with Irish/ sweet potatoes/yam/ even baby rice or very soft rice that i can mash with optional meat/poutry /fish. You can add small knob of butter or teaspoon of sunflower, olive or rapeseed oil if you like. plantain pottage with ripe and a bit of unripe plantain. Jollof rice with some fish or chicken and some green peas. I will keep updating this list as we experiment with new foods and new combinations. however i will do a different post/ rant on my experience with baby rice and how it turned from a hated item to one of by baby food staples. You can start giving water a couple of weeks before you intend to introduce solids. I did that purely because i wanted to start my lo at meal times with a cup instead of a sippy cup or bottle. So we had some training with a cup prior to the actual start of weaning, so we are not struggling with too many new things at the same time. For the actual food, start with one meal a day and gradually work up to 3, within a month or 2. You are essentially substituting a solid meal for a usual breast feed or formular. Fruit, Veggies or cereal doesn't really matter. 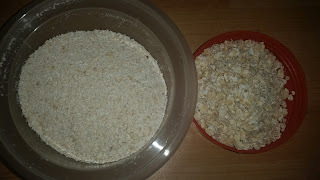 Start with smooth mash/pureed and after a couple of months graduate to mashed with soft lumps before going for chopped-up soft pieces by the time baby is about a year. Single flavours of fruit or veg are preferable at the start as it is easier to spot and identify any allergies to any foods as opposed to offering a mix of food and not knowing what they are reacting to. Also focus more on the veggies as it may take a while for babies to get used to the new taste. The fruits are naturally sweet so babies tend to take these easier. If you want to also do baby led weaning later on and give finger foods, i would say do it just before they have their evening bath as it can be quite messy. Just a few teaspoons at the start is considered a success. Then offer baby's usual milk afterwards. This way as they eat more solids, they drink less milk. Also don't do it when the babies are super hungry or cranky as you will be wasting your time. If the baby is already whimpering or crying offer breast or milk first, and then solids afterwards. 13:00 - 13:30 : lunch - usually containing meat or fish with a puree afterwards some times. 17:30 - 18:00: dinner - depending on my lazyness factor but mainly veg based. You can tweak to suit yourself. I try to give fruit at least once a day. If we dont have it with our breakfast cereal, we have it as second course at lunch or we use it at dinner time with some baby rice. At about 7 months i introduced formula especially for our last night feed as i noticed my little madam usually sleeps off on the breast. So i wanted to break that habit. She has her bottle of formula, burp and i put her down to sleep. After loads of rolling about she finally sleeps. By 8 months we were down to breast feeding only 3 times a day, early morning, lunch time and after evening bath. I started giving bottle for her last feed as well as i wanted to break the habit to nursing to sleep. At 9 months it was down to 2 feeds a day, and it wasnt a set feed. If she work up late, we skipped the morning feed and did it at lunch time for instance, and at other times we gave formular instead at lunch time or after her bath. By 10 months the feed were pretty much random, sometimes once a day, sometimes twice. And when we decided to stop i started taking a small bottle of dry formular to bed, with hot water in a flask. If she wakes very early and is fussy, she has this. If not, we have normal breakfast. For meat or poultry, i just pick a piece out of my usual pot when it is boiled. Remove skins, and any fatty bits before blending/ grinding. For fish i just steam a piece when i need to. for other foods I take my baby's food out of the main pot before i add salt, stork cubes (maggi, knorr, ajino and the likes), pepper and palm oil if the recipe calls for it. So things like, beans, yam, spinach, amala, poundo, okra were introduced. This is so that she gets used to the household food. ( as i dont want her to go and get used to cauliflower cheese from hipp and the like meanwhile amala and yam is the menu for the rest of the household. I cant set myself up for future food drama. My policy is one house - one pot) so far it has worked. To blend any food, you probably need to add a few spoons of water to blend. if it gets to waterry, dont worry you could thicken it back up with some baby rice or mashed potato. it wont change the taste. After mashing or blending i store in small individual serving quantities, so i can mix and match on the day as i feel. For younger babies this can be the size of ice cube, for an older baby a small bowl with a tight cover will do for complete meals. Also i got a few glass jar baby foods ( heinz and cow& gate or orders), so i reuse the glass jars and covers to steam the food in when i can, so i also reduce my use of plastic to heat food in as much as i can. As glass is inert and doesn't leach out any nasties when subjected to heat as some plastics do!. Then also some cow and gate or other brand food jars. Just a few for out and about days or when food inspiration fails me. Please do not leave babies alone un-supervised with food at any time. Choking is a real hazard and a quick response can save lives. 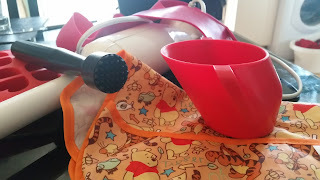 Part 3 will discuss some recipes and combinations and how to manage some baby sized portions. Following some of my posts on the NairaLand (NL) Forum regarding weaning food ideas, I have decided to collate all I have posted as means of creating an archive of sorts as it can be quite tricky trying to find the right post on NL, so for new and old "newborn thread followers" and any others looking for tips for what to feed their babies, here are a few tips. These are food ideas for babies that are 6 months+, and the menu is varied to include both western and Nigerian cuisine. There are baby food blenders which are essentially mini blenders.... and some can be quite pricey. I think they are an unnecessary gadget especially if you have other alternatives... save your money to use on other stuff. 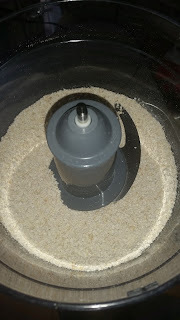 What i found works for me is a hand held blender.... i got one few years back and its been gathering dust until now.... so glad i didn't throw it out! I just put what needs to be blended in large high sided mug, add some water if needed and pop it in till I get the consistency I need. its really good for small portions blending or making purees. You just need a piece of kitchen towel to hold over to prevent splashes. This is an alternative to a specialized baby food blender. Its a very versatile tool as you can also use it to blend other stuff as well other than baby food as well as blend quantities both tiny and large that a normal blender wont handle. I got mine to make soups in one of my culinary adventure modes. a mash bowl can also be used, as it is a small bowl with a pestle-like attachment that you can used to mash up really soft baby food. plastic plate or preferably a bowl. it should be small enough to hold comfortably and securely with one hand. this is very handy if you are feeding baby off your lap. Silicone ice cube trays. To freeze excess baby food. silicone is preferable as it makes removing the frozen food loads easier. I only have one ice tray so i sometimes just twist a teaspoon or tablespoon of the prepped food in some cling film to make a "pellet" and freeze in a container or tie up in bag. Caution: Take care to defrost (at least) partially to allow the clingfilm come off easily. You don't want specs of film in the food as it breaks easily when frozen. Also make sure you label the containers.... everything tends to look the same when its been frozen. A drink muddler - now this is really not essential, but if you or hubby are into cocktails and have one lying around especially the plastic ones with the spiky base, they are actually fabulous at mashing the odd single portion of baby food. A silicone bib with the crumb catcher. 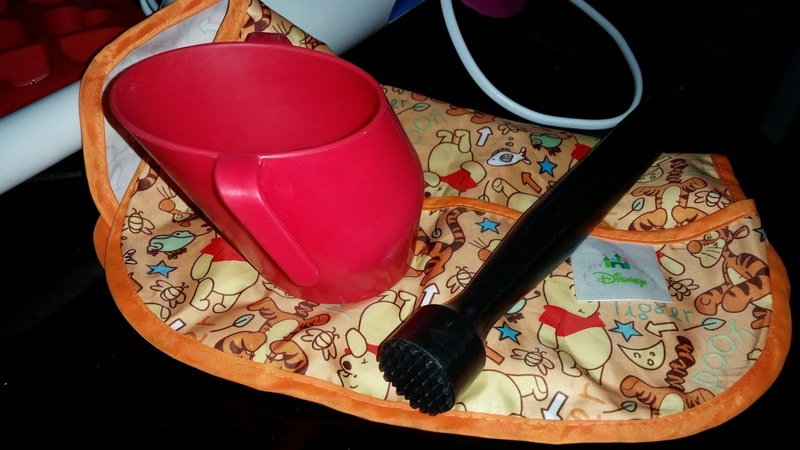 this is easy to wipe clean and catches all the food and water that your baby spits and spills out. A wipe-able bib with crumb catcher is also useful for days out as these are very easy to fold, wipe and can even wash in the washing machine after a few uses. A soft tip spoon in the early days, this is very flexible and is gentler on tender gums. A doidy cup - if you can find this it is absolutely worth it! 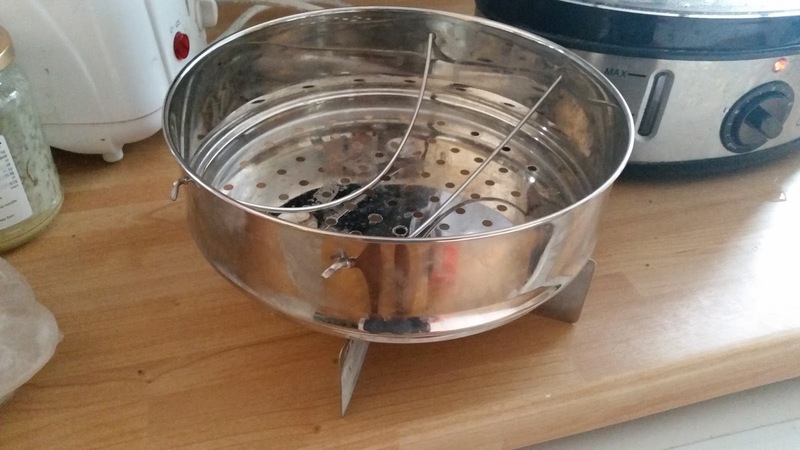 This has made our cup drinking so much better and easier. Alternatively you can use a transparent cup, or i sometimes use the cover of the feeding bottle when we are out and about so i can see the level of the water. Note: Most disposable cups have a rolled edge but the cut end is unfinished and is slightly sharp so be careful if you wish to go down that route as babies cant really control their tongues to avoid them injuring themselves. A small bowl with a tight fitting cover to use in the steamer, the lid needs to be tight to prevent excess water getting into the food. it could also reserve a few empty glass jars and their covers of baby food if you buy them. They are really handy for use in a steamer. 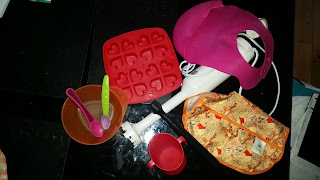 I hope this has been useful to you, Part 2 will be on general tips before and during weaning.